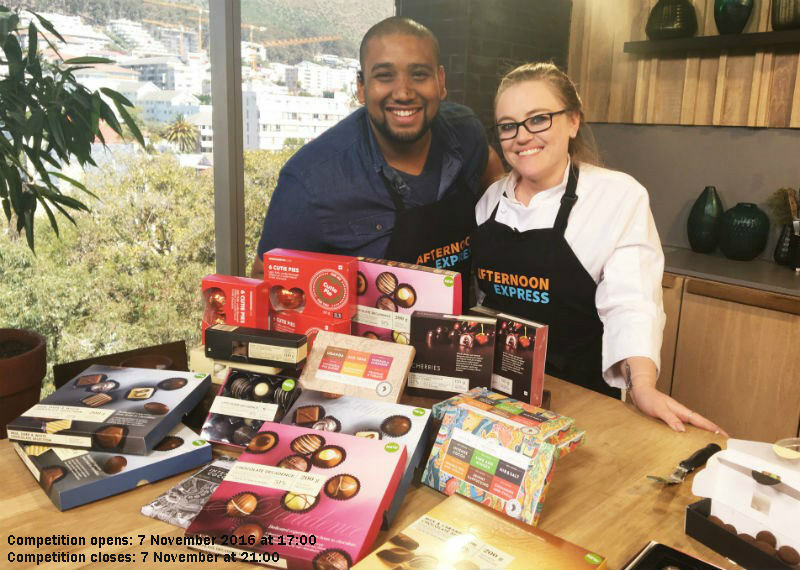 Stand a chance to win a Woolworths responsibly sourced chocolate hamper! Talking about eating and gifting with tomorrow in mind, Woolies wants you to gift the magic of chocolate to someone who deserves it. Woolies wants you to nominate a teacher and tell us why you think they deserve an amazing Woolworths UTZ certified chocolate hamper! Simply comment on the Woolworths post on our Facebook page and nominate your deserving teacher and they could be receiving this amazing hamper worth R1000! Entries for the Competition will open at [7 November 2016, 17:00] and will close at [7 November 2016 – 21:00] ("Competition Period"). 4.1. Entrants must reply to the competition post on the Afternoon Express Facebook page. Entrants must [Comment on the Woolworths Facebook post nominating a teacher and motivating why they deserve to win the prize 4.2. Once you meet the requirements set out in clause 3 above and this clause 4, you will automatically be entered into the Competition. 5.1. On [7 Novenber 2016, 17:00], a panel of judges, who are appointed by us, will select  persons from all valid entries received during the Competition Period as the winner of the Competition (“Winner”). The Winner will be determined in the sole and unfettered discretion of the judges as the entrant who gave the most entertaining and/or interesting answer to the question referred to in clause 4.1 above. You acknowledge and accept that determination of the Winner will be at sole and unfettered discretion of the judges. 5.2.The Winners will be contacted by a representative of the organisers via the social media platform on which they entered between [7 November 2016, 08:00 – 7 November 2016 14:00]. 5.3. If the Winners have not replied to our notification messages by 14h00 on [11 November 2016], and after we have made at least 2 (two) attempts to contact the Winner, the Prize will be forfeited and we shall have the right to select a different winner on the same conditions except that we shall only be required to make one attempt to contact each further winner selected.